The seeds come from flax, one amongst the oldest crops in the world. Flaxseed was initially cultivated in Babylon in 3000 BC, followed by Egypt and China. King Charlemagne believed so strongly in the health benefits of flax seeds that he passed a law to make sure his subjects ate flaxseeds. The flax seeds are popular around the world for their therapeutic and health benefits. The health benefits of flax seeds come from the high amounts of fiber, antioxidants and omega three fatty acids present in it. A tablespoon of ground flaxseeds contains 2 grams of polyunsaturated fatty acids and 2 grams of fiber with just thirty seven calories. Flaxseeds are full of nutrients like protein, calcium, zinc, magnesium, iron and omega three fatty acids, which are required for the growth of your hair. Flaxseeds are rich in vitamins, minerals, omega 3 fatty acids and antioxidants. It is high in B complex vitamin, manganese and magnesium. Additionally, flaxseeds are low in carbohydrates, making it ideal for people who are on a weight loss and diabetic diet. High in Phytochemicals and Antioxidants — Flaxseeds are one among the best sources of lignan, an estrogen-like chemical compound that scavenges the free radicals in the body. It contains 75-800 times more lignans than other plant-based foods. A hundred grams serving provides 0.3 grams of lignan. Lignans helps promote fertility and reduce the peri-menopausal syndrome. Prevents Cancer — The antioxidants in flaxseeds provide protection from cancer and heart diseases. Recent studies have concluded that flaxseeds can considerably lower the risk of developing breast, prostate and colon cancer. The lignans present in flaxseeds have antigenic properties. They prevent the tumors from forming new blood cells. The seeds contain ALA, an omega 3 fatty acid that inhibits tumour incidence and interferes with the growth and spread of cancer. Consumption of flaxseeds can even increase survival in breast cancer patients. Improves Digestive health — Flaxseeds contain both soluble and insoluble fiber. The fiber present in flaxseeds improves the movement of food through the intestines. The mucilaginous fiber in flaxseeds also improves the intestinal absorption of nutrients. The soluble fiber dissolves in the water and creates a gel-like substance, keeping the stomach full for a longer time. Prevents cardiovascular diseases — The amino and omega 3 fatty acids in flaxseeds can considerably lower high blood pressure. A diet rich in flaxseeds can prevent hardening of the arteries. It also prevents the deposition of plaque in the arteries by keeping white blood cells from sticking to the blood vessels’ inner linings. Lignans in flaxseed reduce the arteriosclerosis plaque buildup by 75th. it is also useful in treating irregular heartbeat. The alpha linolenic acid in flaxseeds protects the blood vessels from inflammatory damage. Reduces High cholesterol — research has recommended that intake of flaxseeds daily can reduce the cholesterol level significantly. It contains omega three fatty acids, fiber and lignan, that work together to reduce cholesterol. The LDL in the blood stream is often linked with heart diseases, obesity and metabolic syndrome. Controls diabetes — many researchers have concluded that daily intake of lignan-rich foods stabilizes blood sugar levels by improving insulin sensitivity. According to research, people that consumed flaxseeds for 12 weeks noticed a significant drop in their insulin resistance. This is because of the drop in oxidant stress caused by its high antioxidant levels. Fights Inflammation — Inflammation is generally caused due to the deficiency in omega-3 fatty acids. Omega 3 fatty acid is a key nutrient for fighting inflammation within the body. ALA and lignans found in flaxseeds may reduce inflammation by blocking the release of certain pro-inflammatory agents. Skin Healing — The omega 3 fatty acids in flaxseeds help the wounds to heal faster. Flaxseed is best-known for its high anti-inflammatory levels. You can minimize skin irritation, rashes, inflammation and redness by regularly consuming flaxseeds. Thus, benefits of eating flax seeds are many for skin. It also shrinks the possibility of acne, eczema and psoriasis. Moisture — Dry skin can lead to several skin conditions like eczema, psoriasis and other signs of ageing. 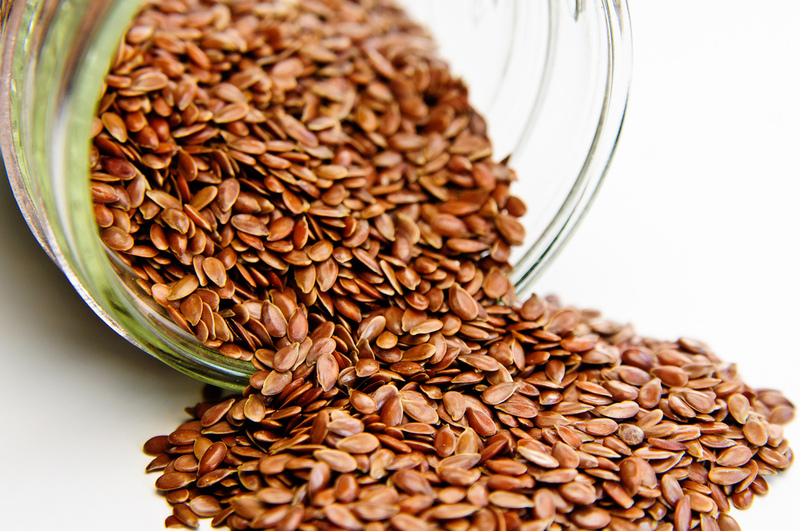 The essential fatty acids in flaxseed keep the skin hydrated and moisturized. Regular intake of flaxseeds increases the body’s natural oil production, keeping the skin baby soft. A daily massage with flaxseed oil prevents irritants from entering the pores. Helps control acne — Flaxseeds helps the control the production of sebum, an oily substance produced by the skin glands, preventing the onset of acne. Eat one to two tablespoons of flaxseed daily to achieve healthy and younger-looking skin. Prevents Hair Breakage — The high amounts of omega 3 fatty acids in flaxseeds increase the hair’s elasticity, creating it less prone to breakage. It endows you with stronger hair. Helps reduce Dandruff — The anti-inflammatory properties of flaxseeds reduce eczema, dandruff and other scalp conditions. The seeds help stimulate the production of sebum in the scalp, preventing flaking and dandruff. Rich in omega 3 fatty acids — flaxseed is one amongst the most effective sources of omega 3 fatty acids. A deficiency in this essential nutrient will cause dry and brittle hair. Healthy consumption of flaxseeds may make your hair stronger. Flaxseeds have high calories and can have a laxative effect if consumed in large quantities. People with irritable bowel syndrome can have a strong reaction to it. People suffering from a seizure disorder should avoid flaxseed supplements as it can aggravate the condition. People taking blood thinning, blood sugar, topical steroids, anti-inflammatory and cholesterol lowering medications should avoid eating flaxseeds. Flaxseeds contain small amounts of cyanide compounds, which can have neurotoxic effects in the body. They should not be consumed in large quantities. Heating the flax seeds can help break these compounds. Our body can also neutralize a certain amounts of these compounds. Pregnant and lactating mothers should not supplement their diet with ground flaxseed. It has estrogen-like properties that can affect the pregnancy outcome. It may also cause birth defects and spontaneous abortion in pregnant women. Drink plenty of water while consuming flaxseed, so that it does not swell up or obstruct the throat or digestive tract. Other side effects of flaxseeds include itching, rashes and shortness of breath.